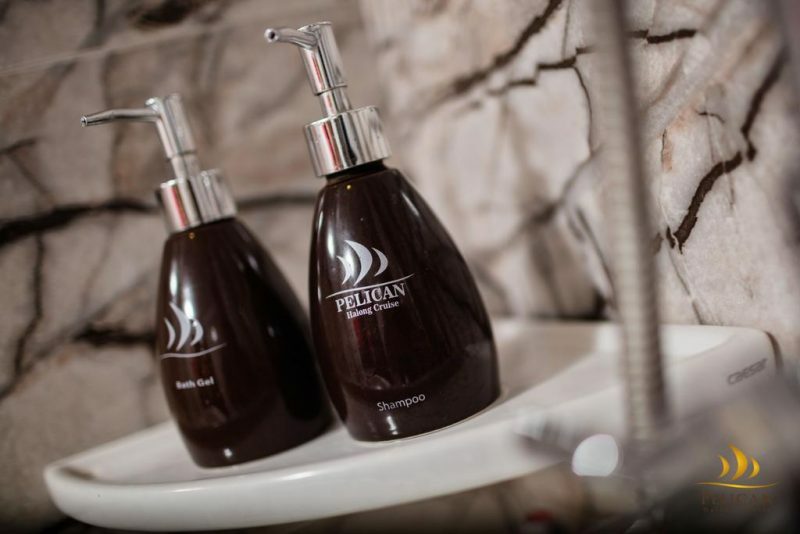 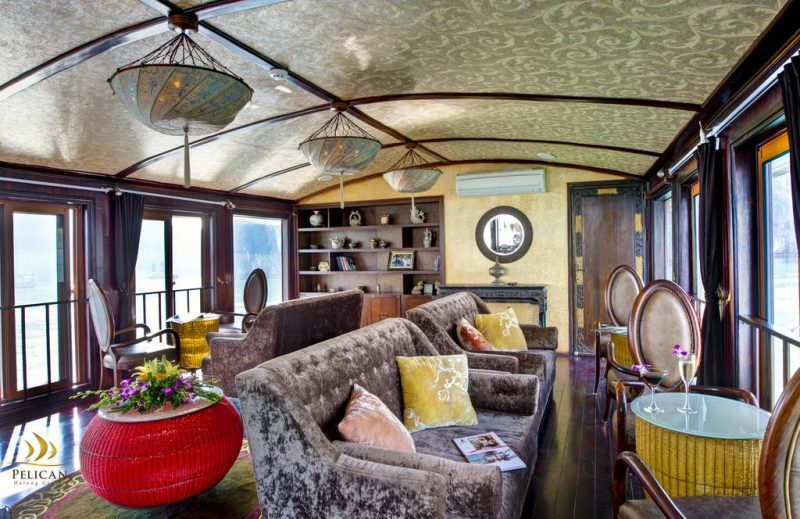 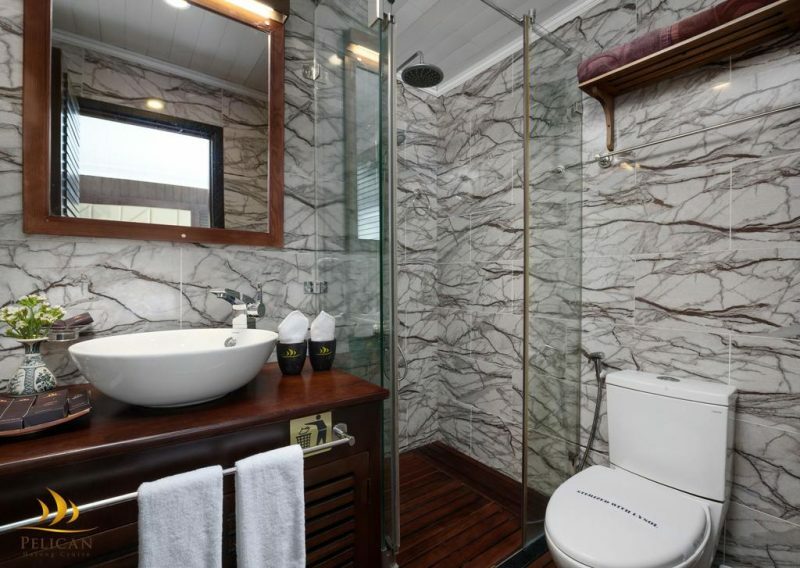 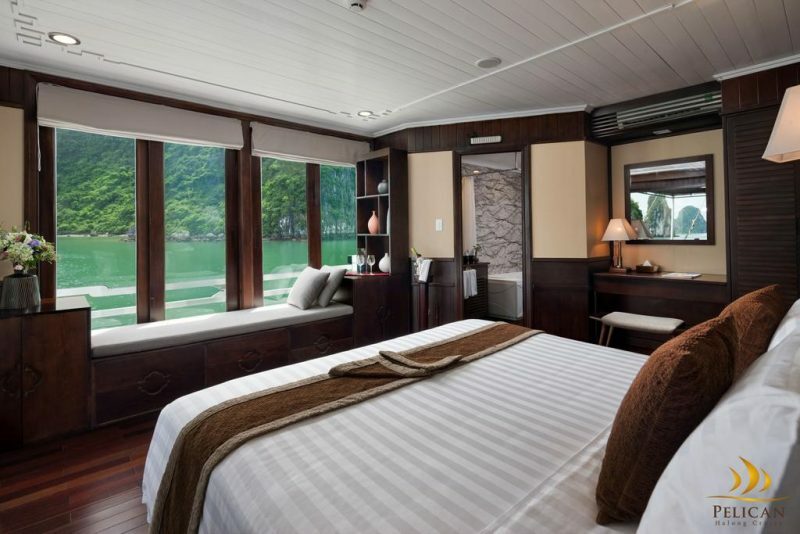 As for the luxury standards, Pelican Luxury Cruise while 3 similar Pelican boats, each of 22 cabins. 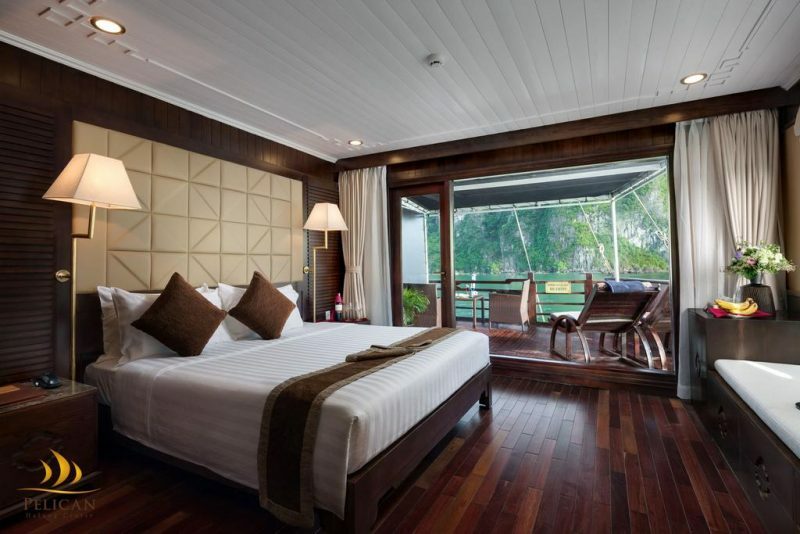 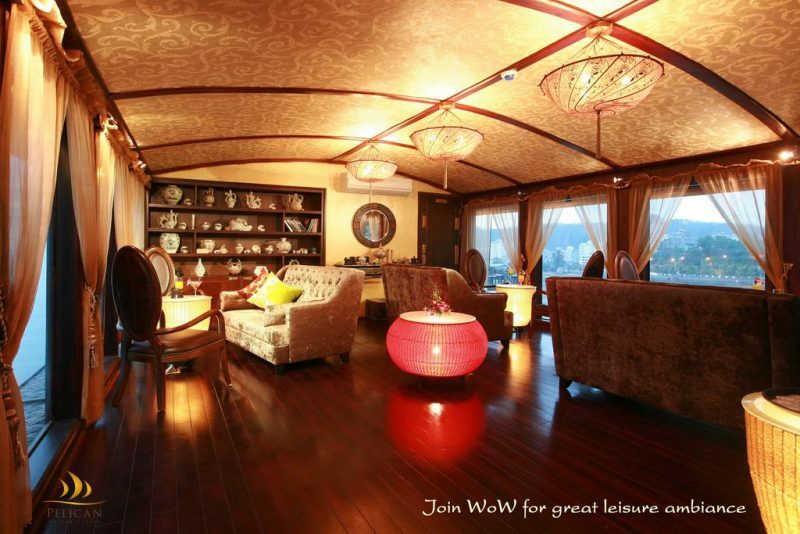 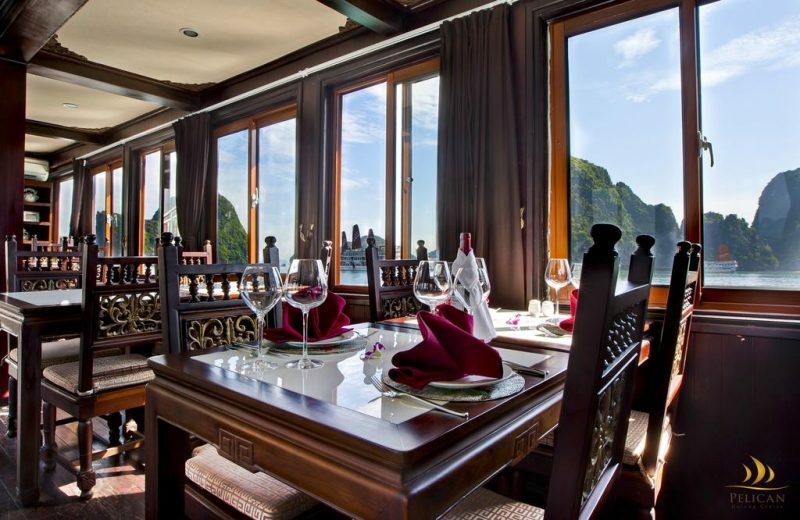 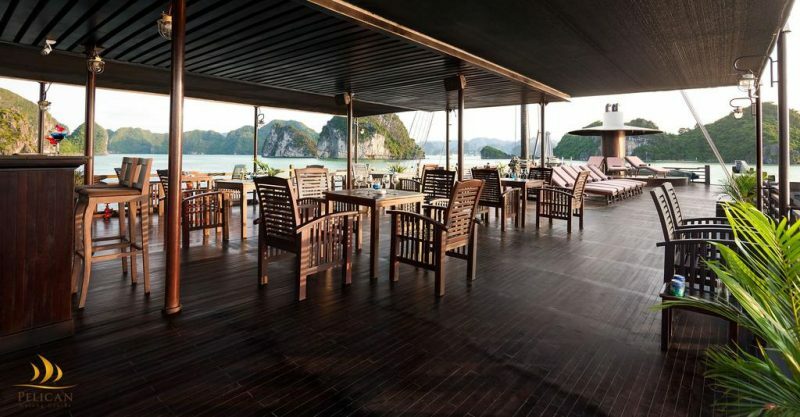 Including bar and restaurant and a sun-deck will provide guests luxurious and 4-star experiences. 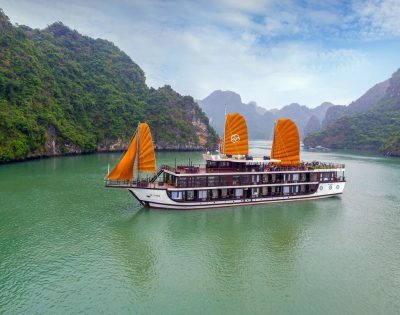 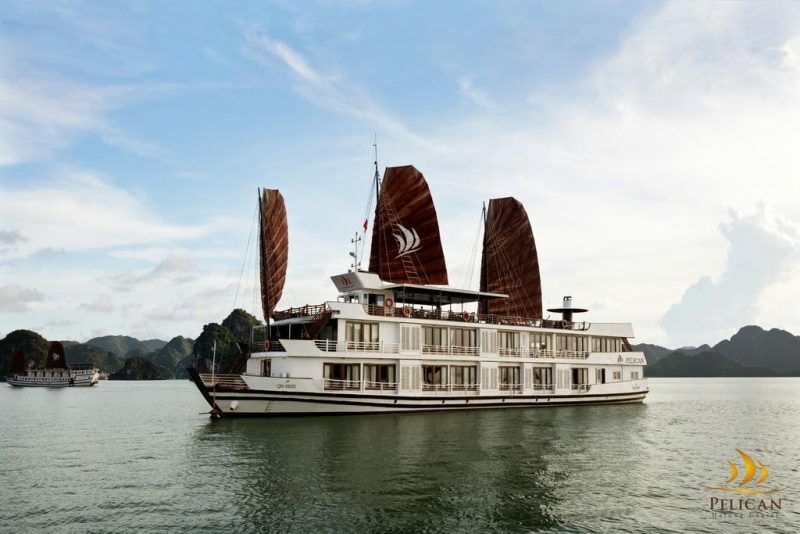 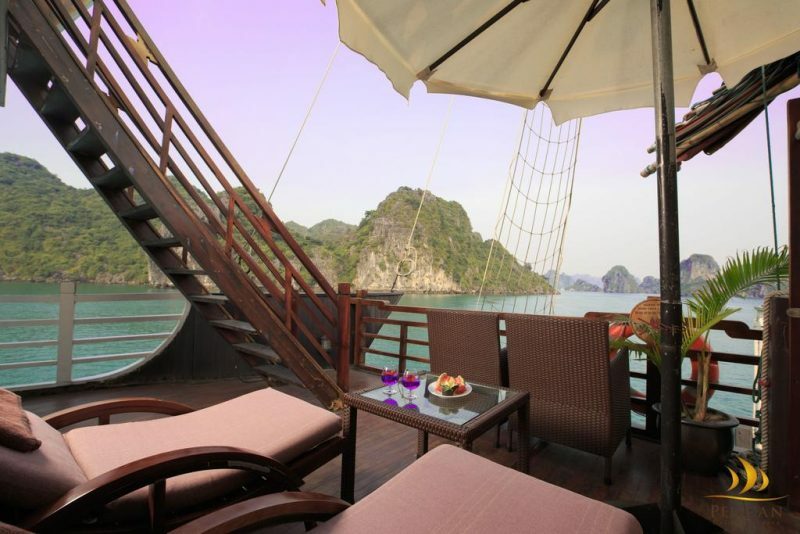 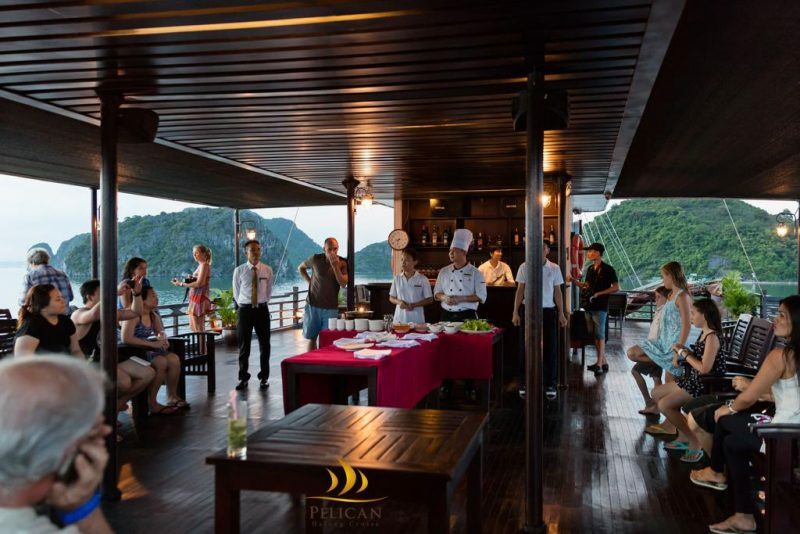 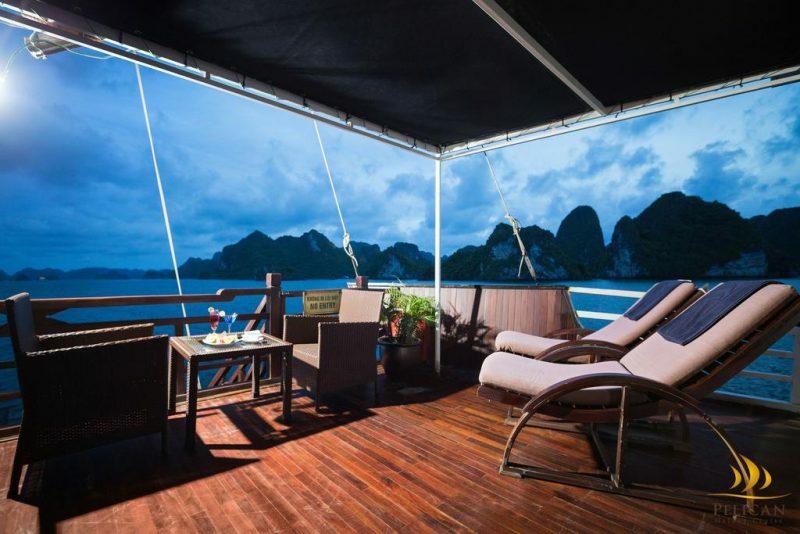 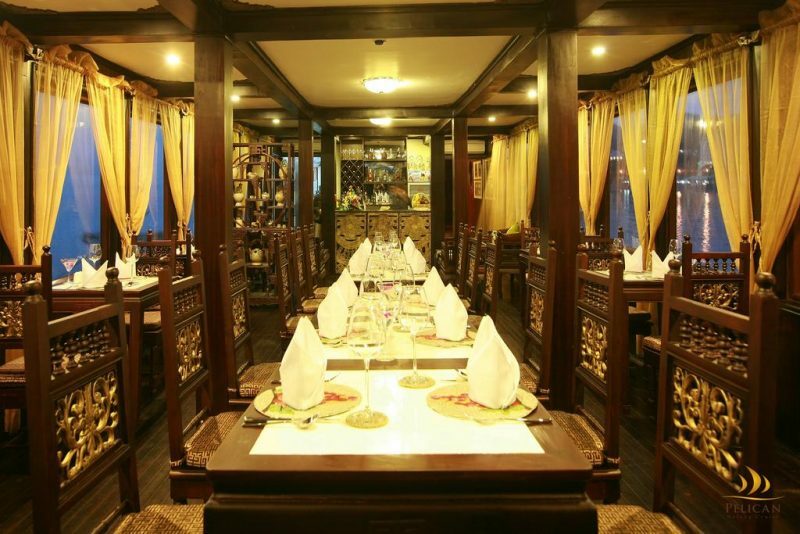 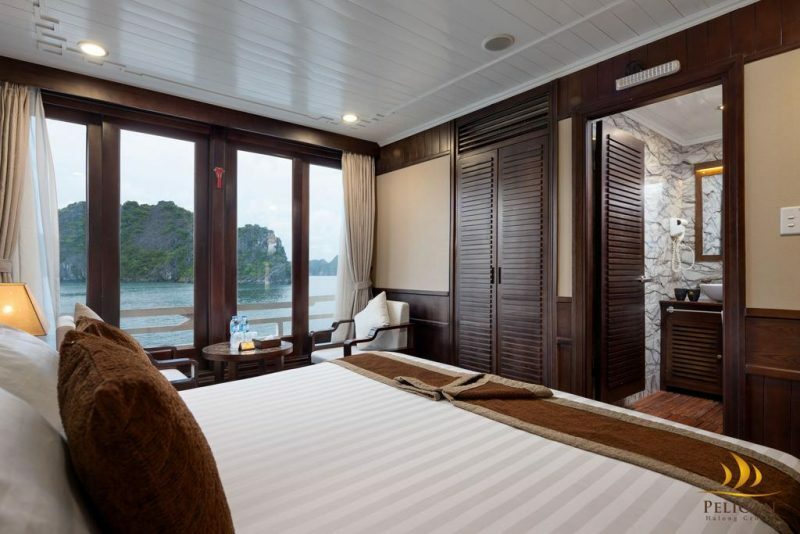 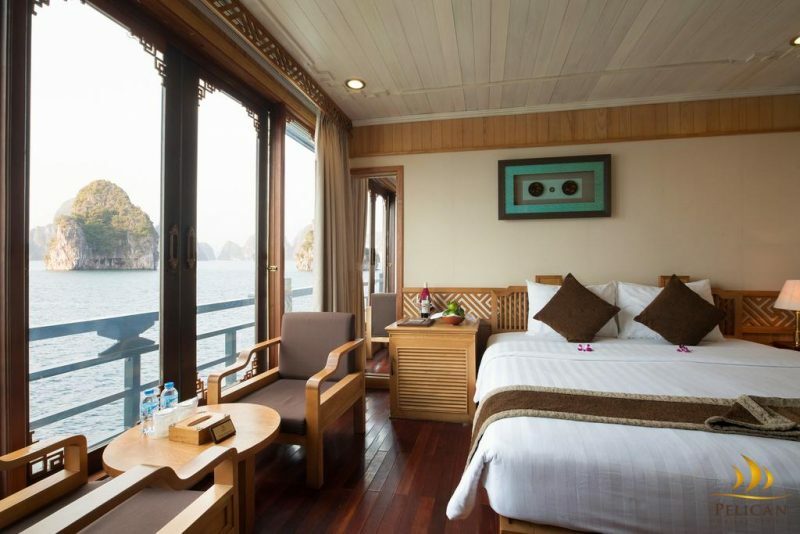 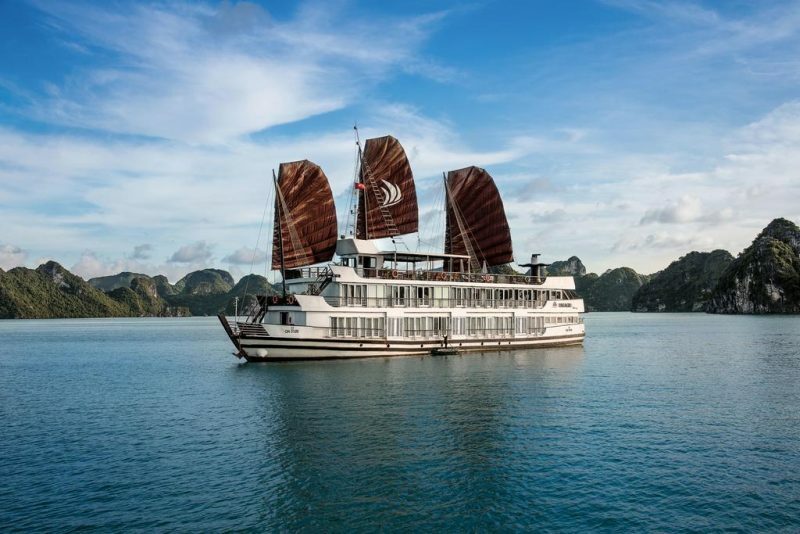 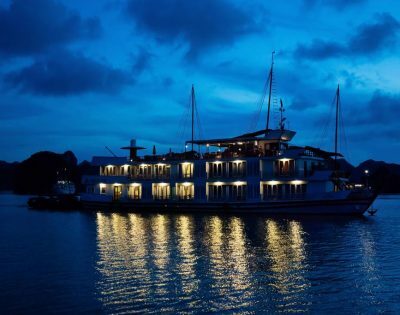 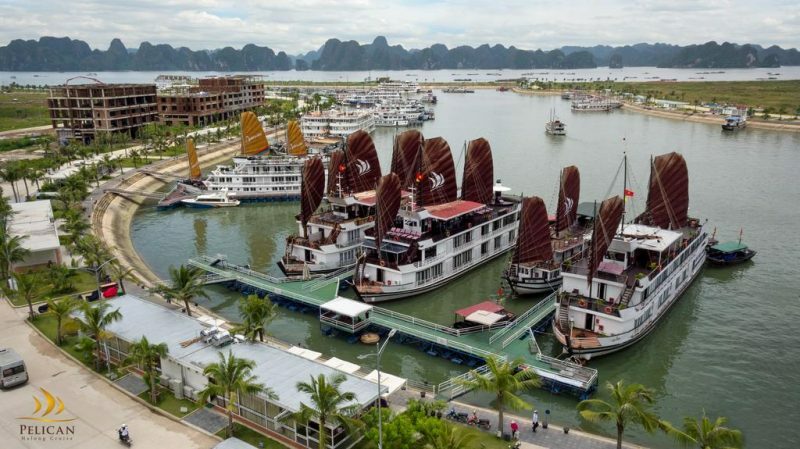 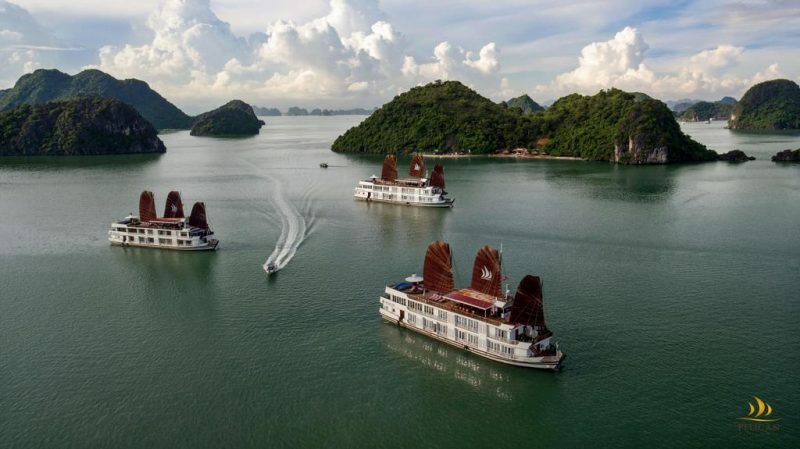 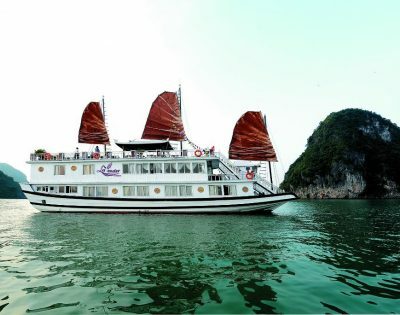 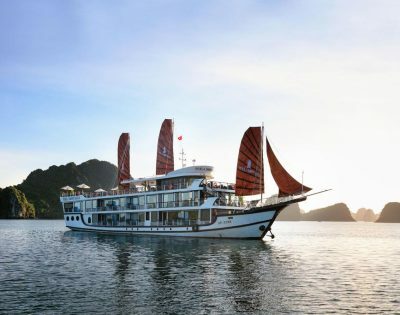 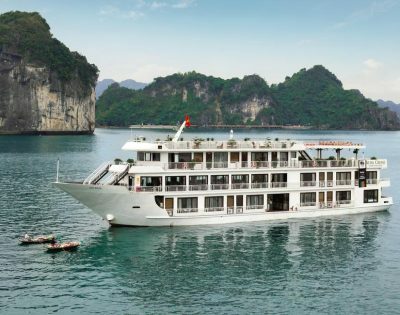 Description: Perla Dawn Sails offers an off-the-beaten-path cruise experience to Lan Ha Bay, the southern part of Halong Bay, where the scenic landscape has no difference with its better known Halong Bay.